The song was played during the wedding of Marc Brickman to June Rudley, Bruce's lighting director and travel agent respectively. Springsteen and members of the band join Rickie Lee Jones and Boz Scaggs for a three hour celebration at West Hollywood's Whisky a Go Go on Sunset Blvd. They play for three hours, a mixture of classic covers and Springsteen originals. Covers include Ernie K-Doe's 1961 #1 hit "Mother-in-Law", The Everly Brothers' "All I Have To Do Is Dream" and Larry Williams' "Slow Down", which was also recorded by The Beatles on their Long Tall SallyEP in 1964. Hava Nagila is played by sign request. Before "Sherry Darling", Roy Bittan and Charles Giordano play dueling accordion snippets of first "Sous le ciel de Paris" and then "Hava Nagila". 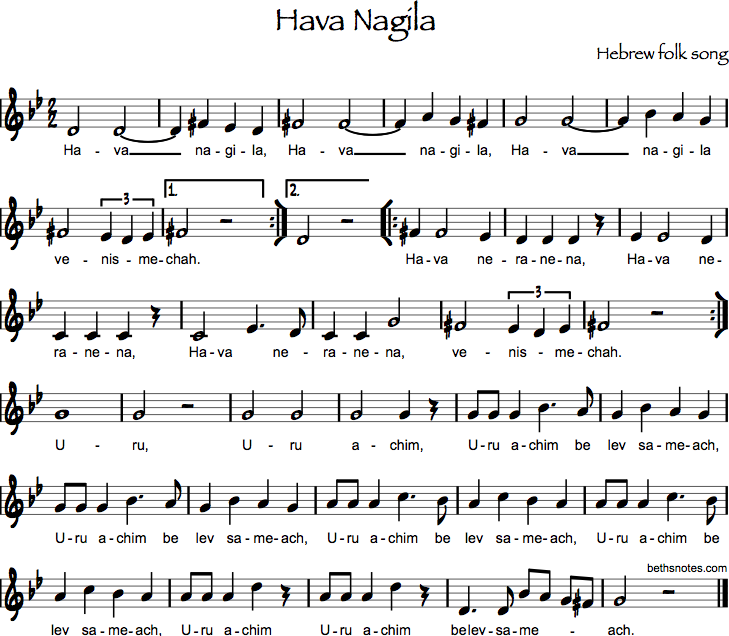 "Hava Nagila" (Hebrew: ??? ???? ?, Havah Nagilah, "Let us rejoice") is an Israeli folk song traditionally sung at Jewish celebrations. It is perhaps the first modern Israeli folk song in the Hebrew language that has become a staple of band performers at Jewish weddings and bar/bat mitzvah celebrations. The melody is based on a Hassidic Nigun. It was composed in 1915 in Ottoman Palestine. Abraham Zevi Idelsohn (1882–1938), a professor at Hebrew University, began cataloging all known Jewish music and teaching classes in musical composition; one of his students was a promising cantorial student, Moshe Nathanson, who (with the rest of his class) was presented by the professor with a 19th-century, slow, melodious, chant (niggun or nigun) and assigned to add rhythm and words to fashion a modern Hebrew song. There are competing claims regarding Hava Nagila's composer, with both Idelsohn and Nathanson being suggested. The niggun he presented has been attributed to the Sadigurer Chasidim, who lived in what is now Ukraine, which uses the Phrygian dominant scale common in music of Transylvania. The commonly used text was probably refined by Idelsohn. In 1918, the song was one of the first songs designed to unite the early Yishuv [Jewish enterprise] that arose after the British victory in Palestine during World War I and the Balfour Declaration, declaring a national Jewish homeland in the lands newly removed from Turkey's control by the Allies and entrusted to Britain under the Treaty of Versailles. Although Psalm 118 (verse 24) of the Hebrew Bible may have been a source for the text of "Hava Nagila", the expression of the song and its accompanying hora ("circle") dance was entirely secular in its outlook. Idelsohn produced the first commercial recording in 1922, on the Polyphon record label, as part of a series which recorded 39 Hebrew folk songs. Frank Slay recorded an instrumental rock 'n' roll arrangement titled "Flying Circle" that was a #45 U.S. hit in 1962.